A common-sense approach is the best way to successfully manage your portfolio. 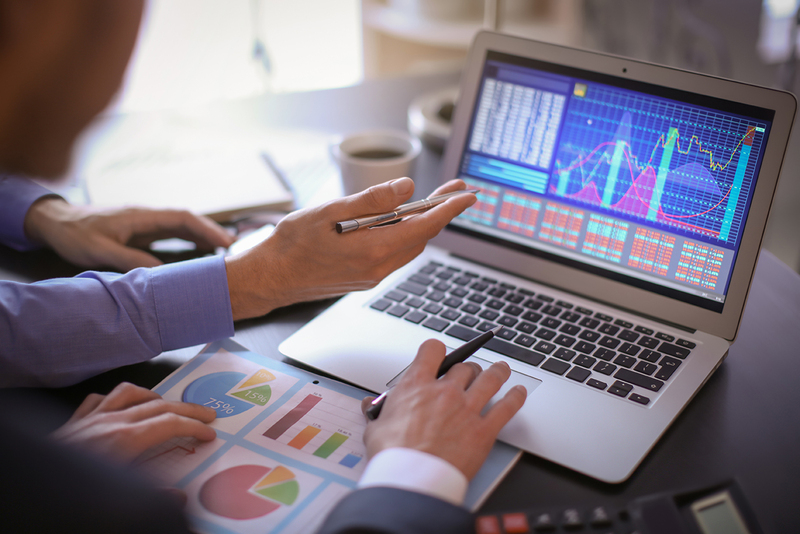 The keys to a successful trading strategy consist of purchasing undervalued shares while prices are rising and using well-defined risk management. The VectorVest technique provides a step-by-step way to evaluate stock prices and a market timing approach to reduce risk. The VectorVest analysis method provides buy, sell and hold signals based on a demanding combination of fundamental and technical criteria. It does this on over 7,600 stocks every day. The first step is to find undervalued stocks. This process requires that you know the value of a stock. You want to invest in is a company that is making lots of money whose stock price is undervalued. Differing views about a company’s future earnings potential may cause the company’s share price to be overvalued or undervalued. Fortunately, VectorVest has a methodical approach to finding the value of a stock. The technique is based on common sense: you can estimate the value of a stock by combining an analysis of a company’s forecasted earnings with current interest rates and inflation. If the current stock price is less than the VectorVest valuation, it is flagged as undervalued. Although this might seem counterintuitive—and against conventional wisdom, you want to buy stocks when prices are rising. The stock is already doing what you want it to do, rising in price. Many brokers recommend buying stocks when prices are falling, “dollar-cost averaging” as the stock continues to fall. Unfortunately, it is very difficult to pick the bottom of a stock’s decline before it has already changed direction, leaving investors holding the bag. A famous market adage says, “markets can remain irrational longer than most people can remain solvent.” If a stock is already moving in the direction that you want, buying shares when prices are rising is common sense. VectorVest uses a timing mechanism to generate a guide to the magnitude and dynamics of a stock’s price change. Called Relative Timing (RT), this indicator is reported on a scale of 0.00 to 2.00. Reading the relative timing indicator is easy: when RT is above 1.00, the stock’s price is in an uptrend, and when RT is below 1.00, the stock’s price is in a downtrend. Managing your portfolio requires sound entry decisions as well as prudent risk management. The greater the risk you take, the higher the reward you might receive. Stock prices can fluctuate, and it’s difficult for some investors to accept that not every trade will go your way. With the goal of making money and living to trade another day, you need to cut your losses and let your profits run. VectorVest recommends limiting the loss in any single position to 1% of your total portfolio value. For example, if you have a ten stock, $100,000 portfolio, you could set a 10% stop-loss on each position, limiting your risk to 1% of the total portfolio, or $1,000. A stop-loss is a risk management technique that VectorVest recommends when managing your stock portfolio. A stop-loss executes either a sell or buy order which allows you to exit a position. VectorVest calculates a stop price on more than 7,600 stocks daily. It is your line in the sand to avoid crossing when a stock goes against you. When you seek to invest in a stock, you must calculate the reward versus the risk. If your investment returns are not commensurate with the potential loss, you may want to rethink the investment. It would be ill-advised to risk 100% of your capital to generate a 20% return. Alternatively, risking 100% to make 200% might be prudent. Furthermore, when you develop a strategy you need to be aware of some simple risk versus reward calculations. For example, if you look to make 2% on a trade and are willing to lose 4%, you must win 66% of the time on your trades to break even. You might find it easier to make 4% on a trade while only risking 2%, which would allow you to lose 66% of the time and still make money. The beauty of the VectorVest system is common sense. If you buy undervalued stocks when prices are rising and employ prudent risk management, you will make money. It’s important that you find a technique that you believe in and will stick with, as the market can be volatile and unforgiving. The VectorVest system will provide you with all the tools you need to manage your portfolio using a common-sense approach.